With the brighter outlook in the dairy sector, it is critical farmers see money going back to the farm gate, not stuck in the supply chain says NFU dairy board chairman Michael Oakes. Prices have started to rise over the past few weeks, partly due to a slowdown in EU milk production. Around 2.5bn extra litres of milk came out of the EU in the first three months of the year but little or no additional milk is expected for the remainder. Mr Oakes said: "It’s been the longest and deepest crisis anyone in the dairy sector can remember and clearly current farmgate prices are not sustainable. "It’s still early days but from what we’re seeing on the futures markets, it’s looking like things could be on the cusp of improving. "Some traders are concerned where they will source products for the end of the year so the right signs are there." However, Mr Oakes said farmers still need to remain cautious. 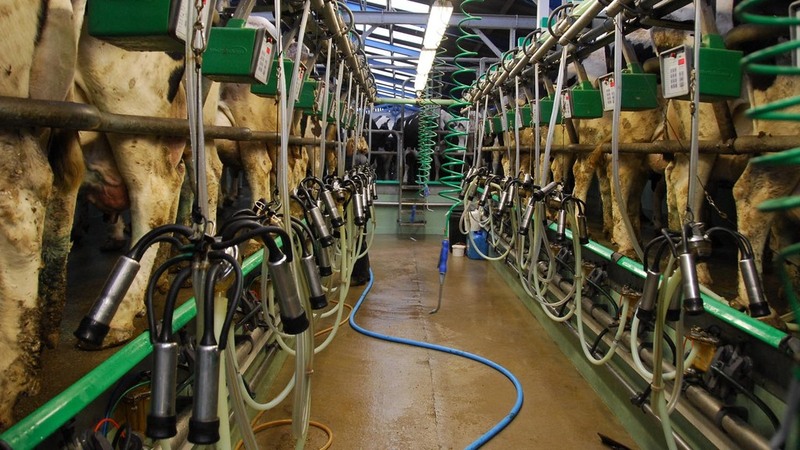 "It’s important to stress that many farmers are receiving a low price for their milk, so despite any small increases, they will still be extremely low. "And how quickly we get back to a sustainable level no-one knows – maybe six months or even longer. So there is still a long way to go." At the end of last week, Meadow Foods announced it would be increasing the price it pays for milk by 2ppl.